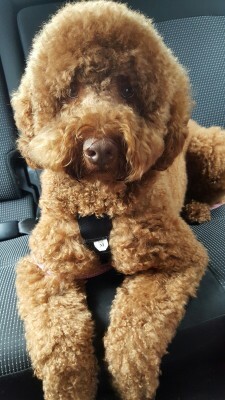 home > About Us > A Special Friend at the Clinic – Poppy! 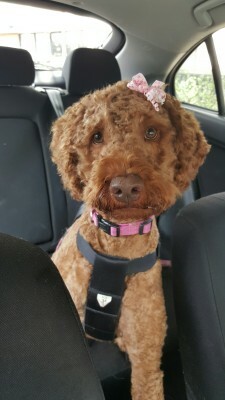 Poppy, our adorable, fun-loving Labradoodle, loves to greet all visitors to the Clinic! She serves as a great source of motivation and enjoyment for many of the children and their families who attend the Clinic! Poppy has been the inspiration for many children to start talking or to talk a lot more! During the warmer months, Poppy particularly enjoys running under the hose and chasing the stream of water that is being directed by her little friends who have done excellent talking and listening with Rissa!